Concrete cutting is a tough job that requires the help of professionals to complete safely and accurately. As its name refers, a worker uses an instrument to cut through a concrete structure, either to give it a specific shape, even it out, cut a hole through it or all the three. The devices that they use depend on the job at hand. Hand saws are enough to cut through thinner structures of concrete while a strong wall might require an industrial automated saw. Whatever the job is and whoever the workers are, it is important that you first know what you are getting into before you call in the experts and get started. It is natural to have questions and below you can find their answers. Why Do I Need To Cut Concrete? Concrete cutting is a job performed during construction and remodeling of a structure which can be a house, office, shop, bridge, or anything else that has concrete in it. Since concrete is not as easy to cut as wood is, you need professionals to work at it. More specific reasons that you might need to cut concrete are when you need opening for lifts, channels for plumbing work and creating a passage for electrical lines. 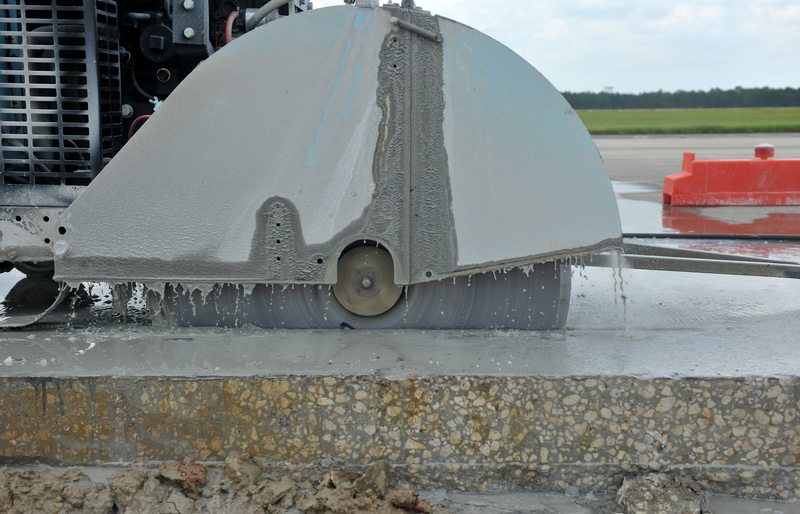 What Is The Role Of Water In Concrete Cutting? Water is important when cutting concrete to perform the job cleanly and safely. Sawing through concrete produces lots of dust. Water helps in restricting it from spreading and dirtying the area. Dust could also get into the eyes and nose, causing serious complications. Another purpose of water is to cool the machine. After working for a long time, saw machines get hot and are unsafe for use in that condition. Water acts as a coolant for them. Are There Real Diamonds In The Concrete Cutting Saws? If you have the image of sparkling, beautiful diamonds in your mind then you can rest assured that that is not the case here. The cutting saws are tipped with diamonds but these are industrial grade diamonds. They have the ability to cut through anything, and unfortunately, you cannot wear them as jewelry. Does Concrete Cutting Create A Lot Of Noise And Discomfort? Technology has advanced a lot and you can stop worrying about lots of noise getting produced when cutting concrete. Some machines look big and menacing but it does not mean that they would disturb all your neighbors. They don’t cause discomfort and are silent enough to keep the noise inside your house. What Details Would I Need To Provide My Professionals With? They are professionals but it does not mean they can work without any data. You must provide them with the measurements of the structure and how much they have to cut. This also helps them to provide you an estimate for the job. We take care of whatever concrete cutting job there is that you require. Our team of dedicated and experienced professional workers ensures that you have nothing to complain about before, during and after the job. Feel free to contact us through email at info@cadrillers.com or call us 08009750891.